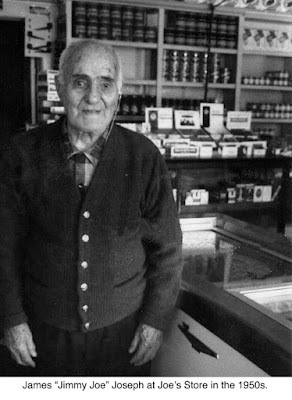 Robberies occurred occasionally in and about town, but only one involved a Mickey Finn, flappers and a man who became a Ridgefield legend. The foursome seemed a friendly bunch, striking up what was later described as a “jolly” conversation with Jimmy Joe. Soon Ferris Hajjar, one of the men, pulled out a bottle of whiskey and offered Joseph a drink. “James is known as a man who never indulges in intoxicants and declined the invitation,” the Press reported. Then one of the women produced a bottle of lemon soda, poured some in a cup and offered it to Jimmy Joe. He took a drink and moments later, passed out. The quartet grabbed $135 — about $1,900 in today’s dollars — and took off. James Joseph was an old-fashioned success story, both in his life’s work and his life’s length. He died March 6, 1972, and since his birth certificate seemed to say he was born Jan. 1, 1858, he was apparently 114 years old. He would have been around 68 when he was slipped the Mickey and robbed. While the date on the birth certificate may have been misread, or wrong, he certainly was a very old man at his death. Born in Lebanon, then part of Syria, of an ancient Druze family, James Joseph came to the United States in 1903, and joined his brother, M.C. “Joe” Joseph, in operating a store in Danbury. 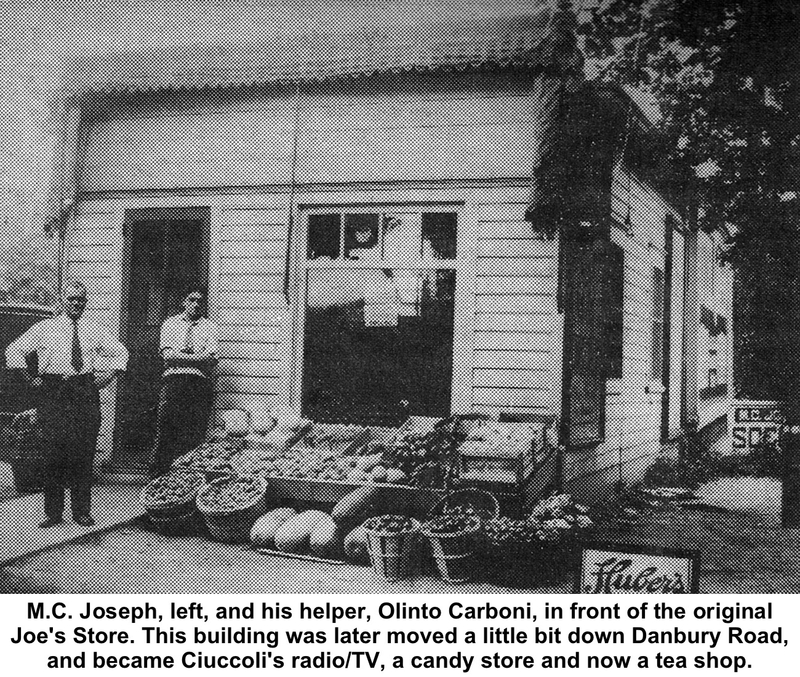 They also sold fruit and vegetables on an auto delivery route through Ridgefield, which attracted them to the town. 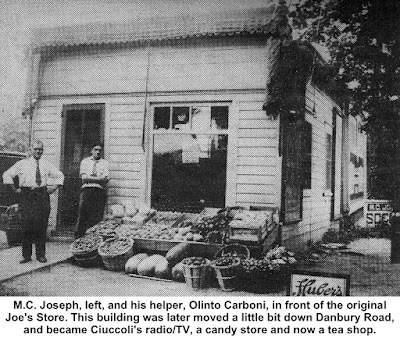 In the early 1940s, Joe Joseph died, and Jimmy Joe took over the Ridgefield store. He became a citizen in 1958, but could not become a voter because he couldn’t pass the literacy test — though he was well read in Arabic. When the Supreme Court banned literacy testing as a voting requirement in 1970, Jimmy Joe Joseph, well over 100 years old and a resident for nearly 70 years — walked into the office of Town Clerk Ruth Hurzeler to be sworn in as a voter. “He had tears in his eyes,” Hurzeler said later. Arthur A. Smith, a carpenter who lived near the Georgetown store, drove by around 4:30 that afternoon in 1924 and saw Joseph “jollying” with a group of people. A little while later, Smith returned to do some shopping, and found Joseph lying on the floor, unconscious. Ridgefield a detailed description of the quartet. His information must have struck a spark of recognition in the officers, for by Saturday evening, Sgt. John Kelly and Officer Leo F. Carroll were in Danbury, rounding up the robbers. They first arrested Tony Howard, 28, proprietor of a “coffee house” on River Street, Danbury, who apparently told police the whereabouts of his accomplices. A little while later, Mrs. Gertrude Conners, 29, Miss Isabelle Chambers, 23, and Hajjar, 29, all of Danbury, “were gathered in on the street,” the Press said. Hajjar was described as the ringleader of the group. They were jailed after failing to post $2,000 bond each. Wilton Town Hall, used as a courtroom, was packed on Monday, Dec. 8, with friends and families of the Danbury suspects. Lawyers managed to get bond reduced to $1,000 for Connors and Howard, while Chambers had the bond lifted because, her lawyer maintained, she was in “ill health.” Hajjar remained under $2,000 bond. The three were unable to post their bonds and were returned to the jail in Danbury. However, they soon managed to scrape together the money, made bond and were released. “Jimmy Joseph is again able to conduct business at his grocery and is being congratulated by many friends and patrons, not only on his complete recovery from the effects of the drugs, but because he has recovered over $50 of the roll that afternoon,” the Press said that week. In early January before another large crowd in Wilton Town Hall, Hajjar and Connors pleaded guilty to theft, were fined $25 and costs of $92.01 each, and got 30-day suspended jail sentences. Chambers and Howard pleaded guilty to receiving stolen goods and were fined $15 and costs of $82.01, and given 15-day suspended sentences.